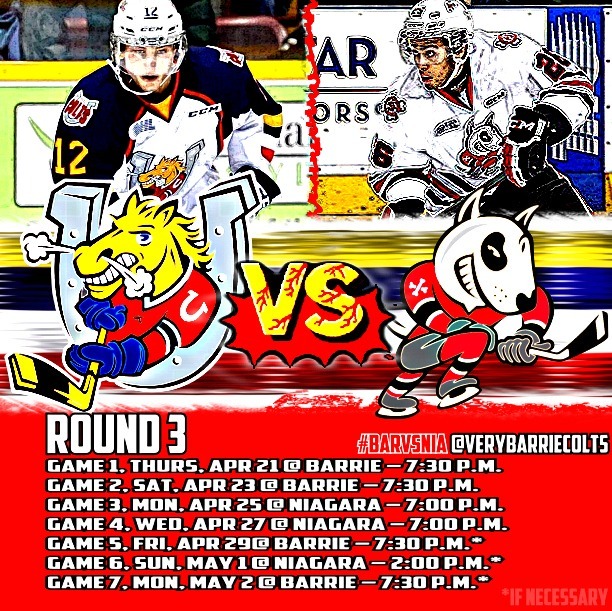 Eastern Conference Finals Schedule between Colts and IceDogs: #OHL - Very Barrie Colts | A website covering the Barrie Colts of the OHL. Today the schedule for the Eastern Conference Finals between the Barrie Colts and the Niagara IceDogs was announced! Here is a look at the schedule. We will have a series preview up soon so be sure to keep an eye open for that!